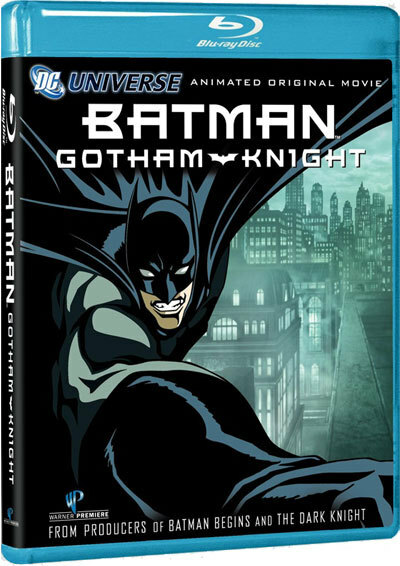 Warner has released specs and box art for 'Batman: Gotham Knight,' which will debut direct-to-Blu-ray this July with a host of bonus features. 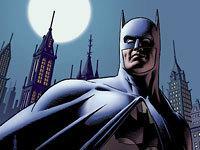 As previously reported, Warner and DC Universe announced a July 8 street date for the animated film (day-and-date with the standard DVD), though without final specs and box art. The full press details are now in, with the Blu-ray set to include 1080p/VC-1 video (1.85:1), with Dolby Digital 5.1 Surround audio in English and Japanese, plus Spanish and German Dolby Digital 2.0 Surround options. (Subtitles in all four languages are also included). As previously announced, Warner has set the suggested retail price at $35.98 for the Blu-ray. As always, you'll find final pecs for 'Batman: Gotham Knight' linked from our Blu-ray Release Schedule, where it’s indexed under July 8.